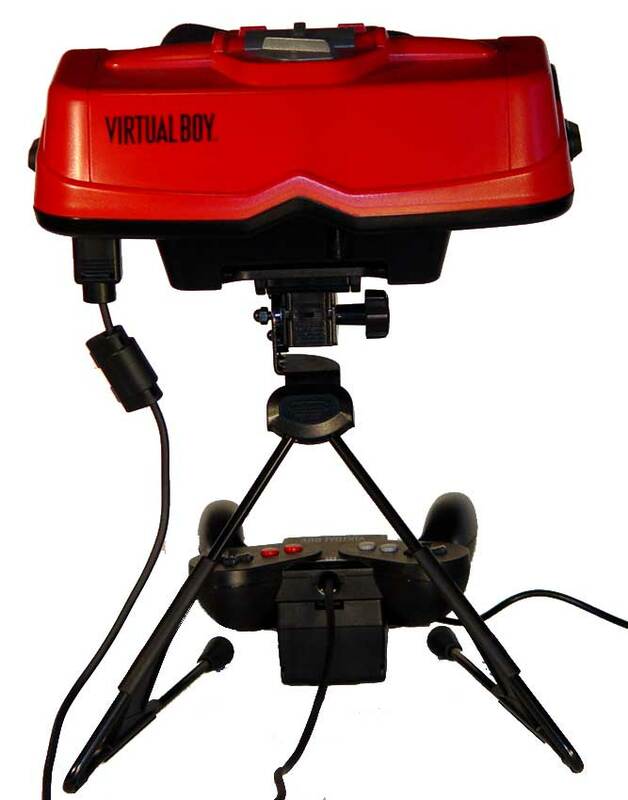 The images of the Nintendo Virtual Boy are categorized and show the console, joystick controllers and accessories. 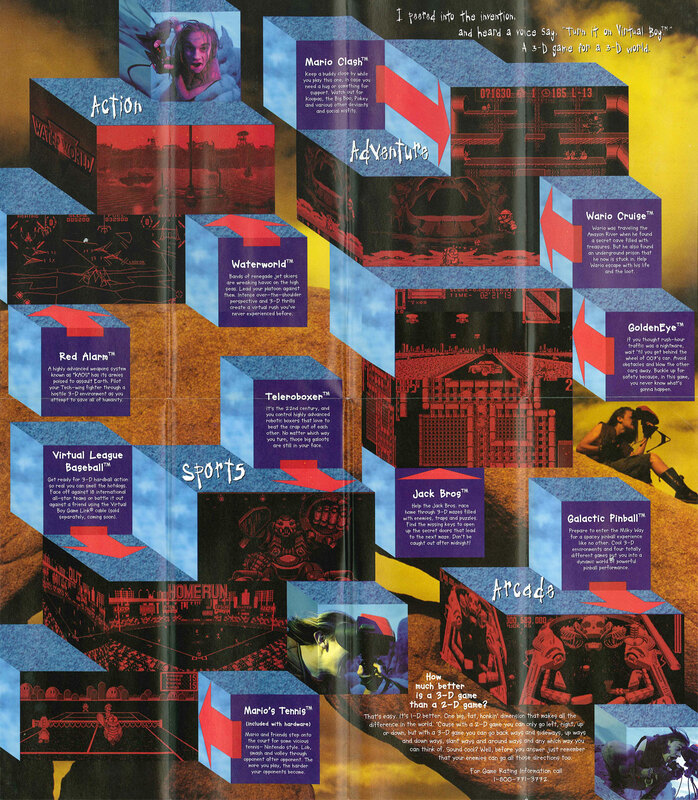 You will also find detailed close-ups of the ports and connections available on the Virtual Boy. 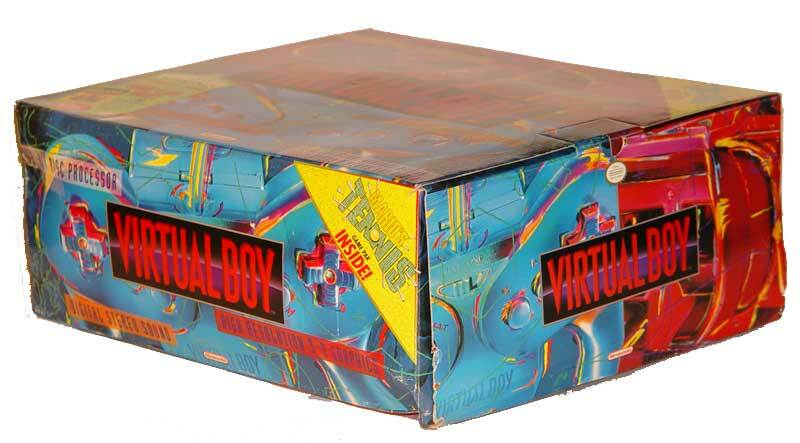 The Nintendo Virtual Boy in its box. Everyone had high hopes that the Virtual Boy would be a head-mounted display - which was very popular in virtual reality circles at the time. Then we all saw the tripod stand... and lots of red. Rats! The Nintendo Virtual Boy in its box. 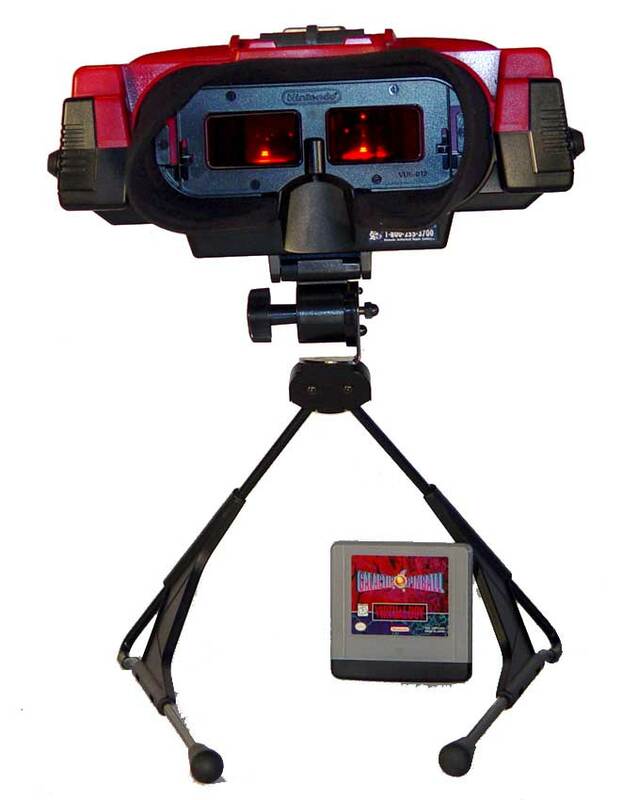 Virtual Boy was the first video game console supposedly capable of displaying actual 3D graphics. Most video games use visual cues to achieve the illusion of a third dimension on a 2D screen, The Virtual Boy creates pseudo-depth through the effect known as parallax. This was achieved via the 2 eye-pieces that gave 2 versions of the same action. 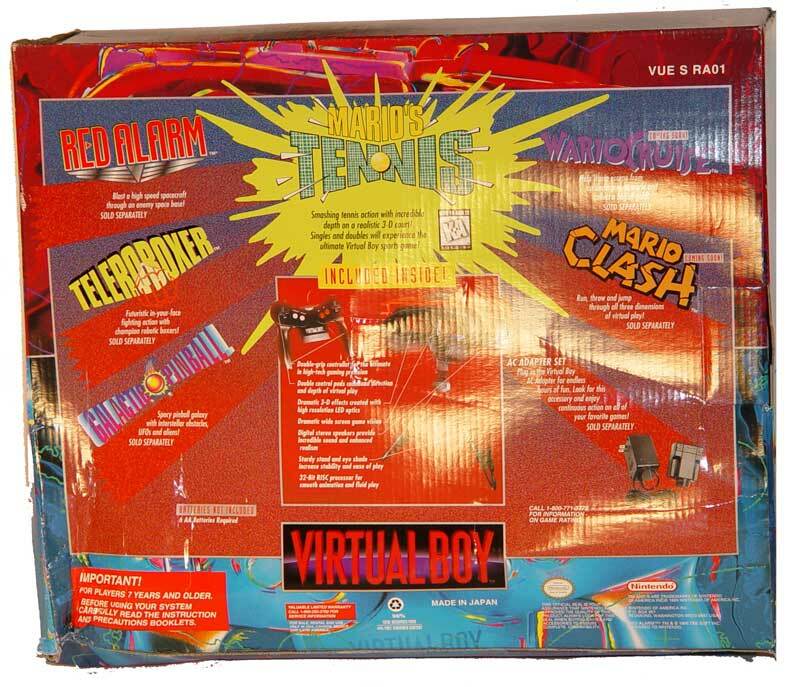 The Nintendo Virtual Boy rear of box. 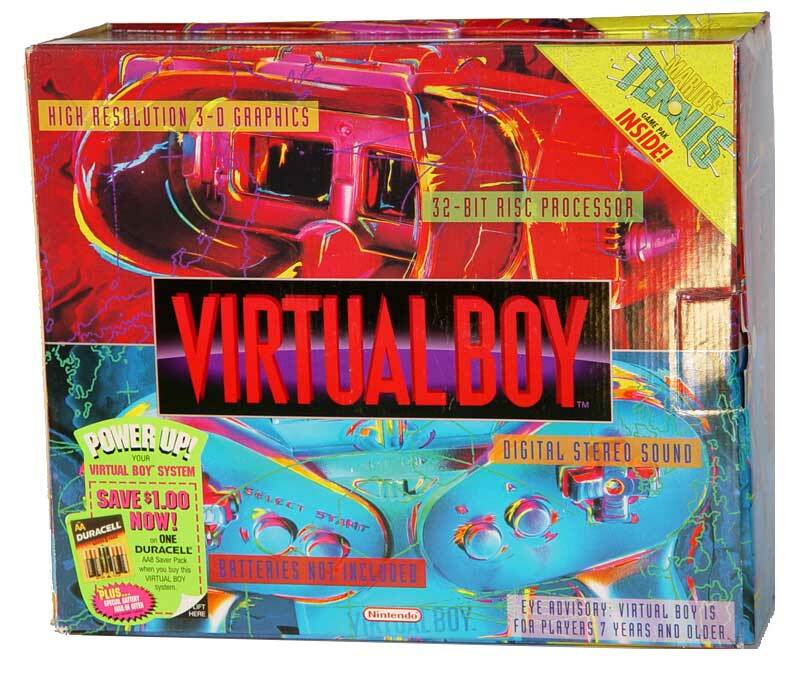 The Virtual Boy was a tough sell when it came to market at $180. 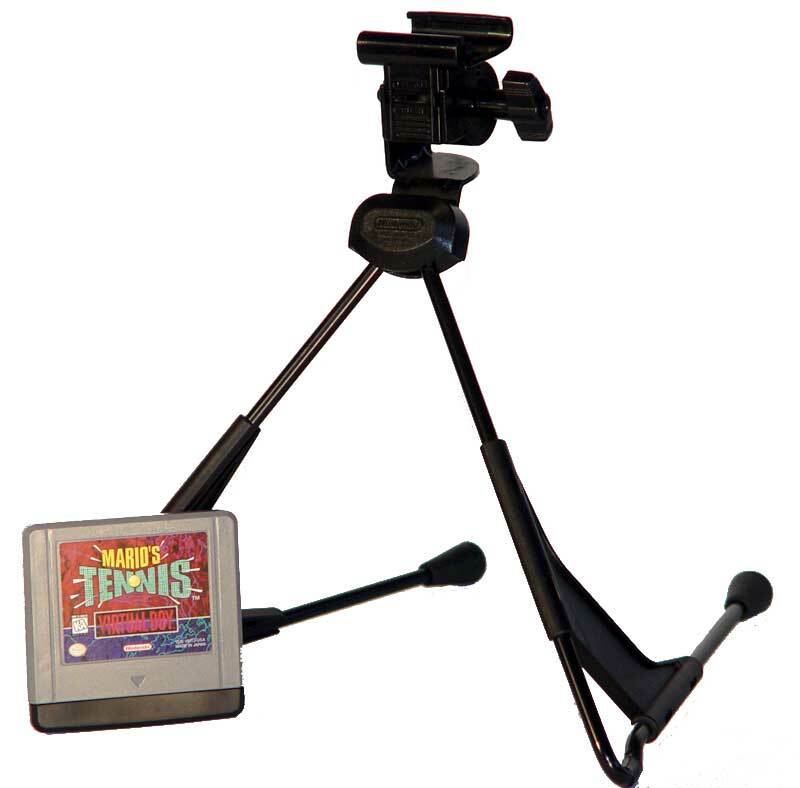 Playability was an issue since you were to hold the joystick with both hands, while any forward movement of your head would tip it over despite the sturdy metal tripod. Top portion of the Virtual Boy. 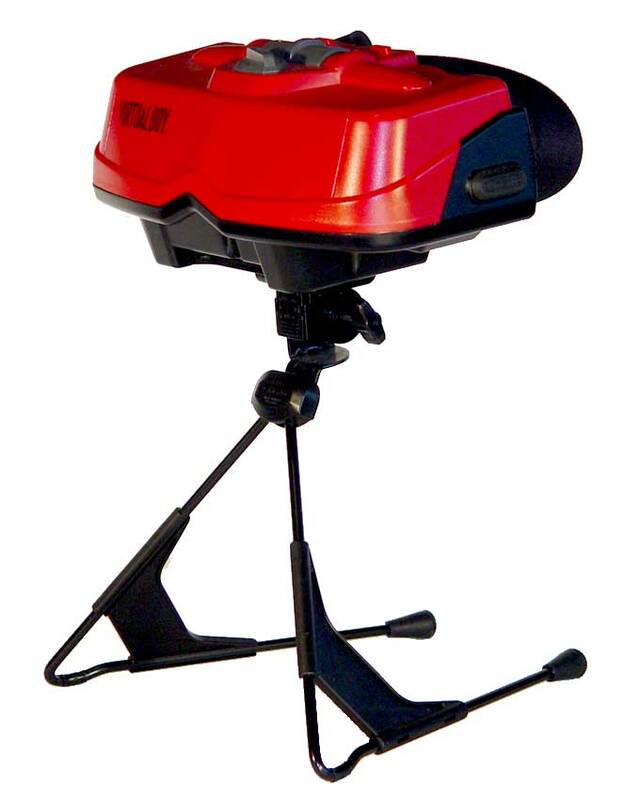 The actual reality of the Virtual Boy was revealed at the Consumer Electronics Show in Jan. 1995 where gamers realized the immersive experience was achieved via a black shade that fit the contours of one's head. Not being able to see anything but the red screens was as immersive as it got. 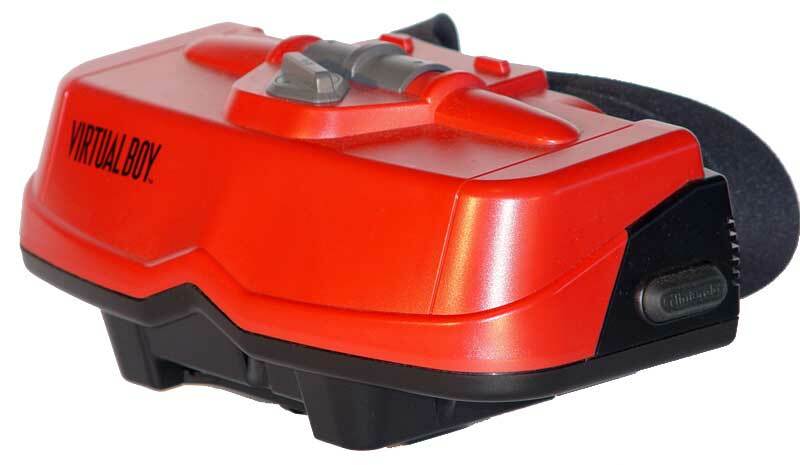 Top portion of the Virtual Boy - Three quarter view. Nintendo used red LEDs to cut costs, as color would be very expensive, and test showed the unit wasn't capable of displaying many colors while maintaining smooth game play. Color would also have drained batteries quite quickly - not that anyone really wanted to pretend that it's size qualified it as portable or any sort of mobile gaming device. Game Boy already had a 6-year lead as a portable gaming handheld. 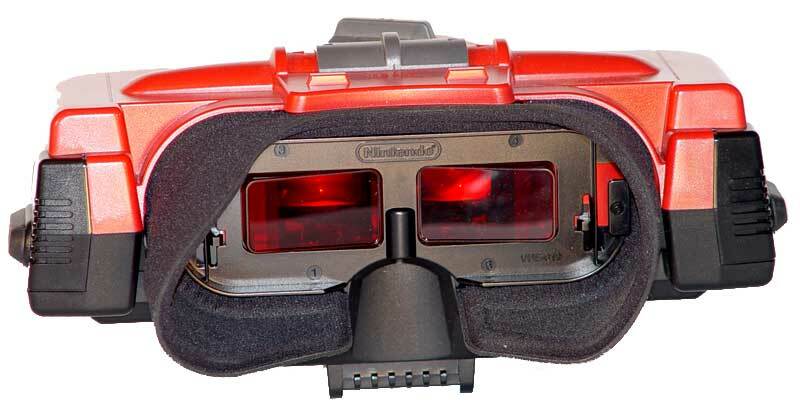 VirtualBoy viewfinder. The unit may have been rushed to market to free up resources for the upcoming N64 console that was sure to be a hit in living rooms around the globe. Let's not forget that the PlayStation was poised to hit stores just a few months later with the power and game capacity of optical discs rather than traditional cartridges. 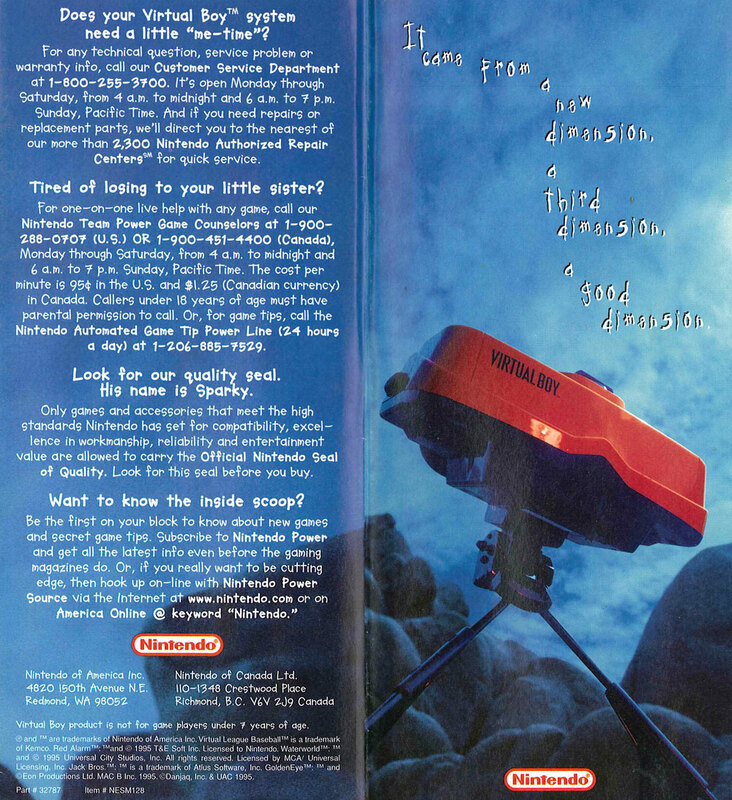 It was important to get the N64 to market despite the premature readiness of Virtual Boy. 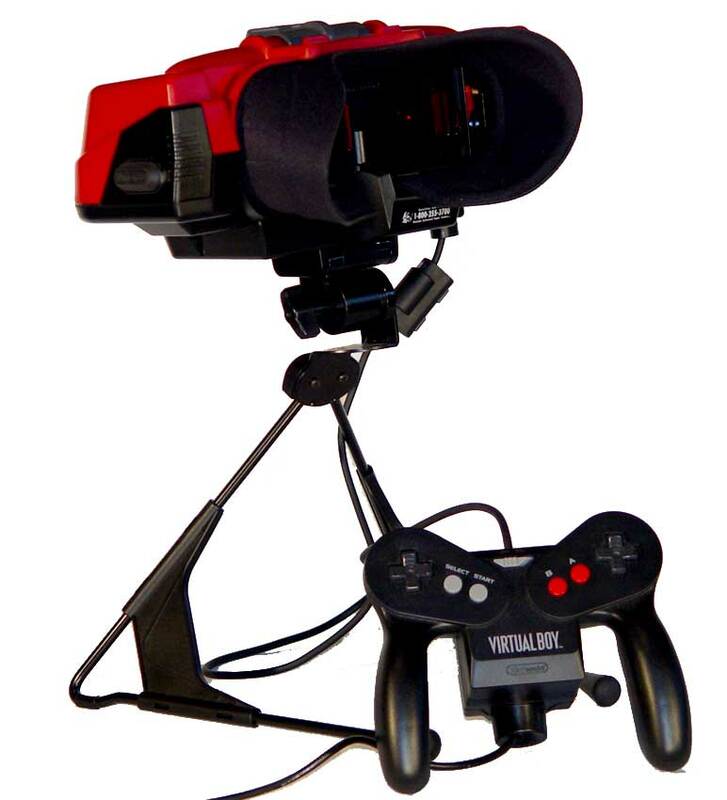 Metal stand that supports the Virtual Boy during game play. 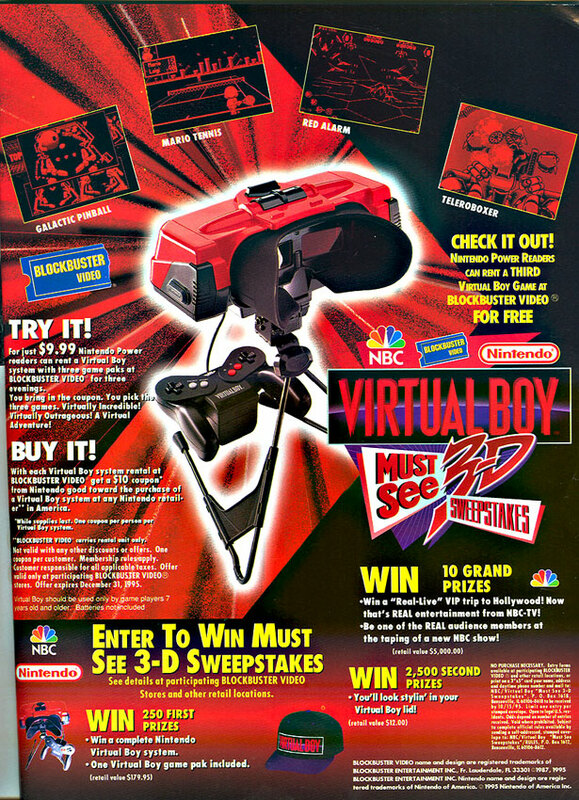 marketing the Virtual Boy was difficult in the 2D world of print and TV advertising. Nintendo felt that 2D space wouldn't do justice to it's 3D capability. They resolved this with a hardware rental program through BlockBuster Video. For $10 one could rent the console. Unfortunately, this eroded sales as renters realized how un-virtual reality it was for $10 rather than purchasing it for $180. I bought mine from Electronics Boutique when they were selling them for $30. VirtualBoy on metal stand. Poor sales performance led to many announced games never appearing on retail shelves. 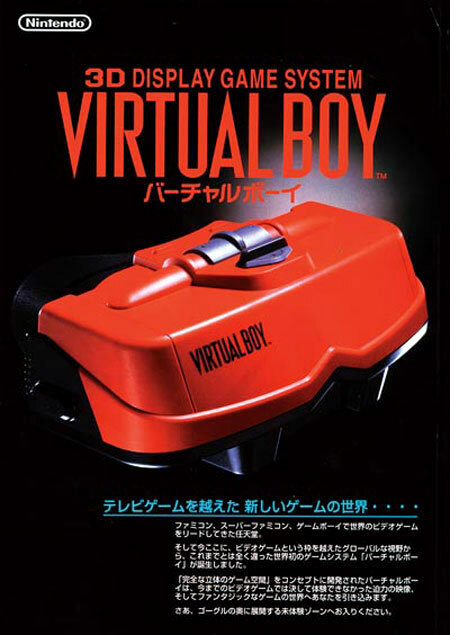 The last official title released for the Virtual Boy was 3D Tetris on March 12, 1996. 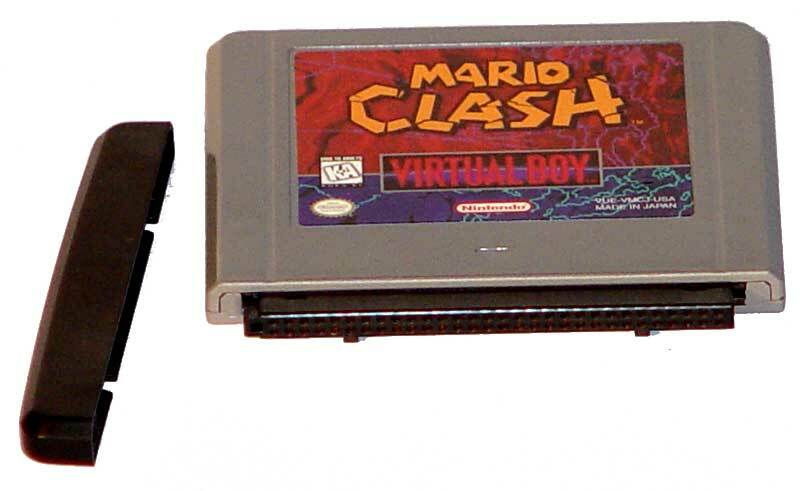 The Virtual Boy was discontinued in early 1996 in North America. Nintendo did not issue a press release upon discontinuing it. VirtualBoy on metal stand. Most positive reviews of the hardware focused on it's novelty and Nintendo's daring in releasing such an odd product. Seldom were games given the attention one was accustomed to on other platforms. 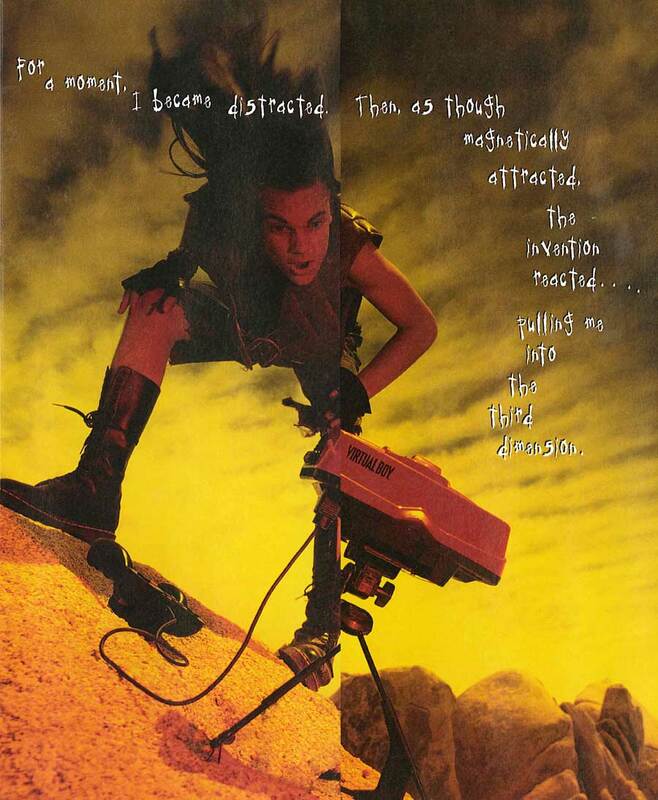 Nintendo finally admitted failure on the marketing effort and the Virtual Boy itself. 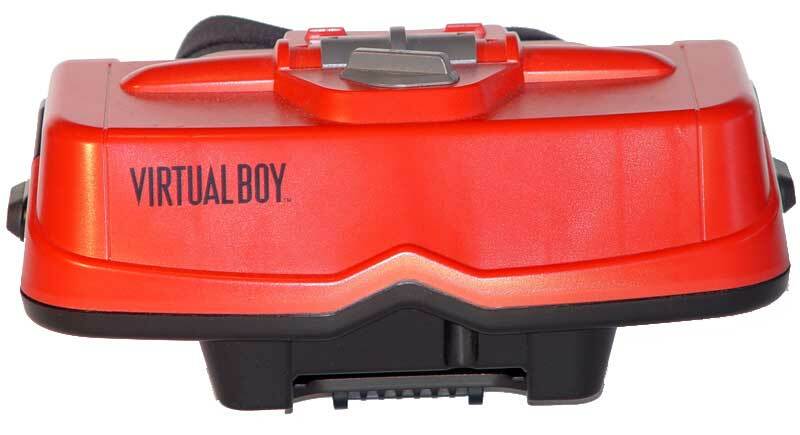 Only 770,000 Virtual Boy units shipped worldwide. 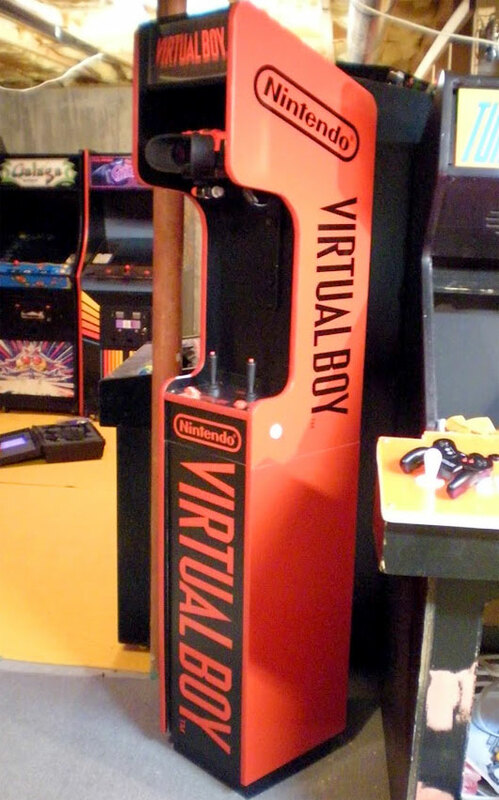 VirtualBoy on metal stand - rear view. Nintendo promised the ability to link systems for co-op/competitive play. The system's EXT (extension) port was never officially supported and no multiplayer games were published, nor was the link cable released. Waterworld and Faceball were going to use the EXT port for multiplayer play, but the multiplayer features were dropped from Waterworld and Faceball was canceled. 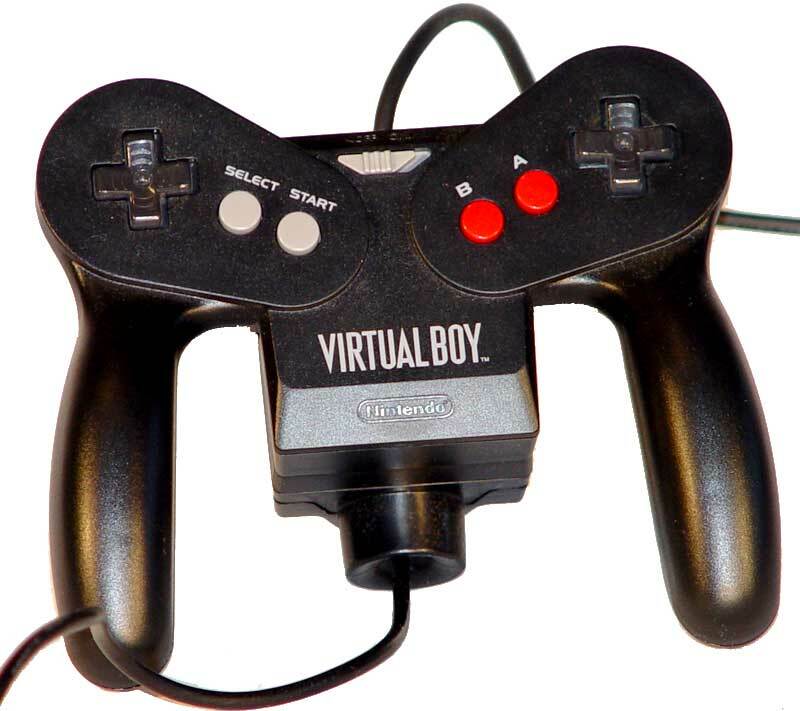 VirtualBoy joystick controller. 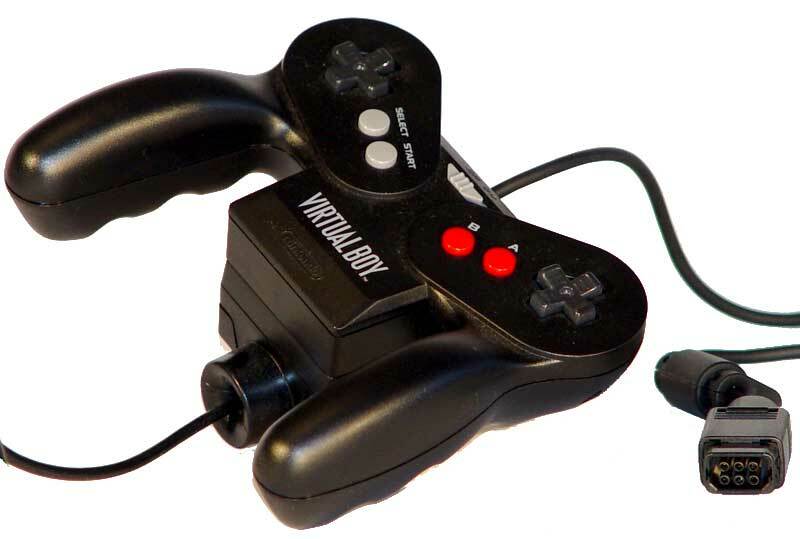 The Virtual Boy's emphasis on three-dimensional movement, necessitated a controller that would allow players to navigate the Z axis.The dual digital D-pads were implemented for this purpose. VirtualBoy joystick controller - side view. Game cart for the Nintendo Virtual Boy with plastic end-cap to protect the contacts. The short lifespan of the system led to the release of only 22 games - 19 games were released in the Japanese market, while only 14 were released in North America. 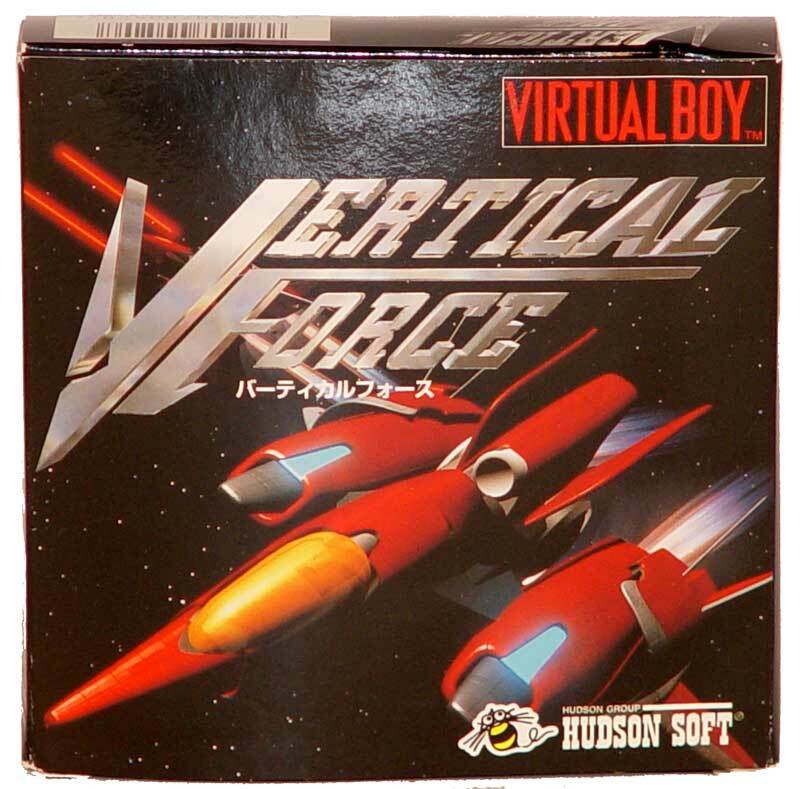 Vertical Force game box for Virtual Boy. 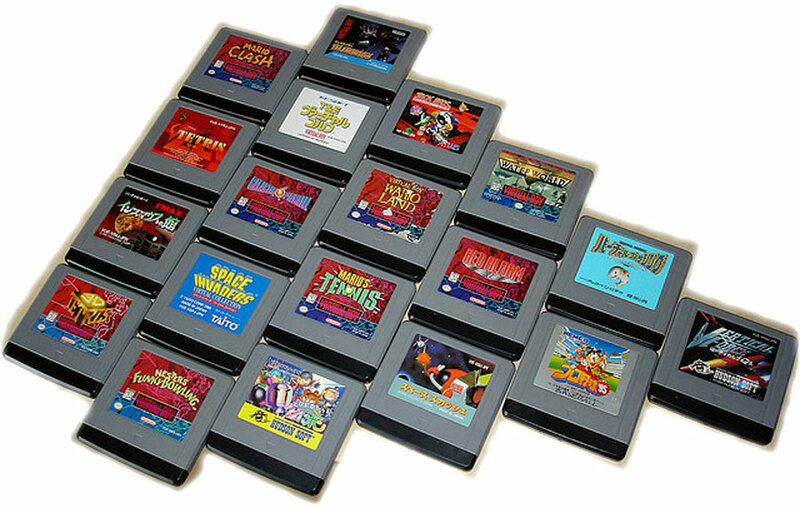 An arrangement of Virtual Boy game carts. The poorly received 3D effect of the 3DS handheld makes me wonder how many close comparisons Nintendo developers made to Virtual Boy as they conceived the 3DS for mass-market. 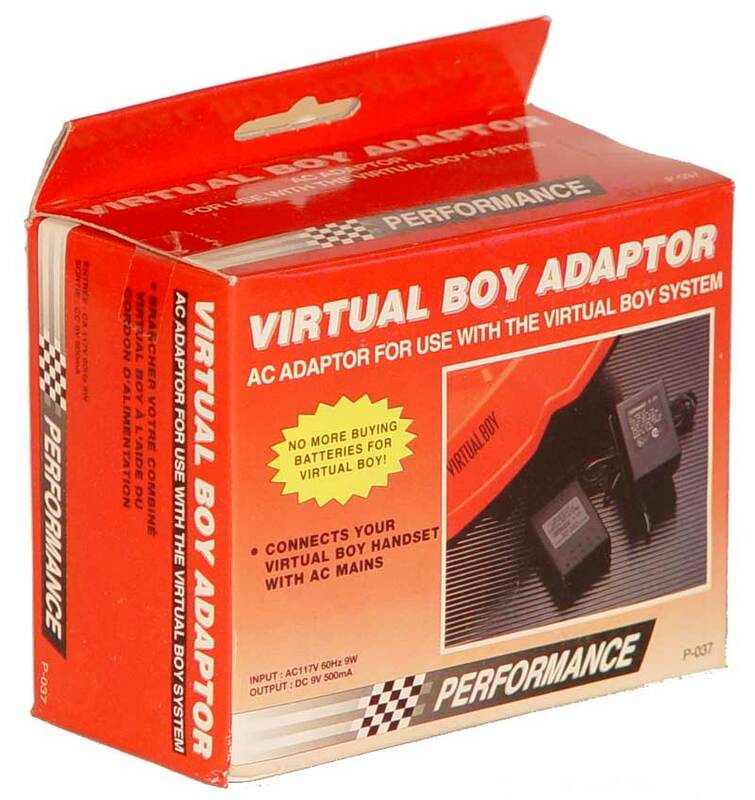 VirtualBoy third-party A/C power adapter by Performance. The extendable power supply fits into the back of the controller. It holds 6 AA batteries and can be substituted with a wall adapter, though a "slide on" attachment is required for it. 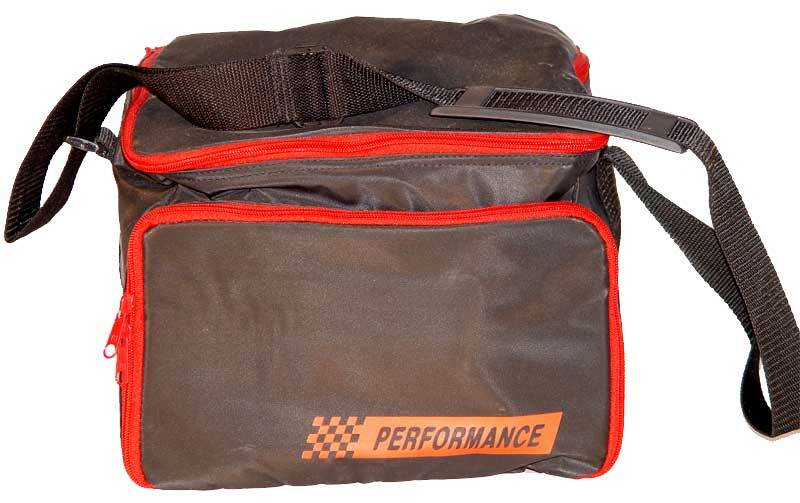 Performance case for the Nintendo Virtual Boy. 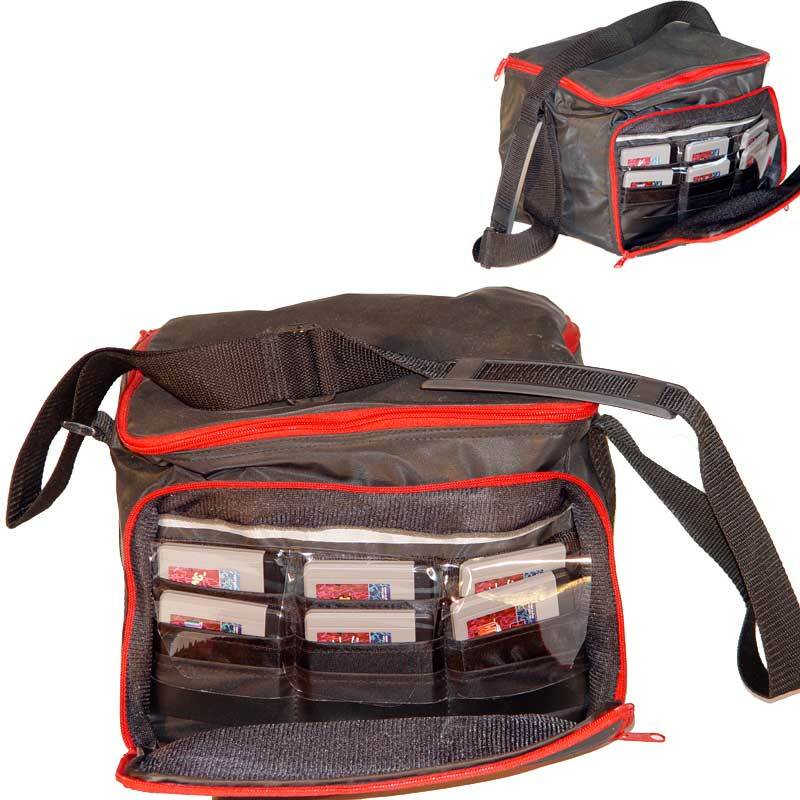 Performance caseGames for the Nintendo Virtual Boy with zippered flap covering the compartment for game cartridge storage. 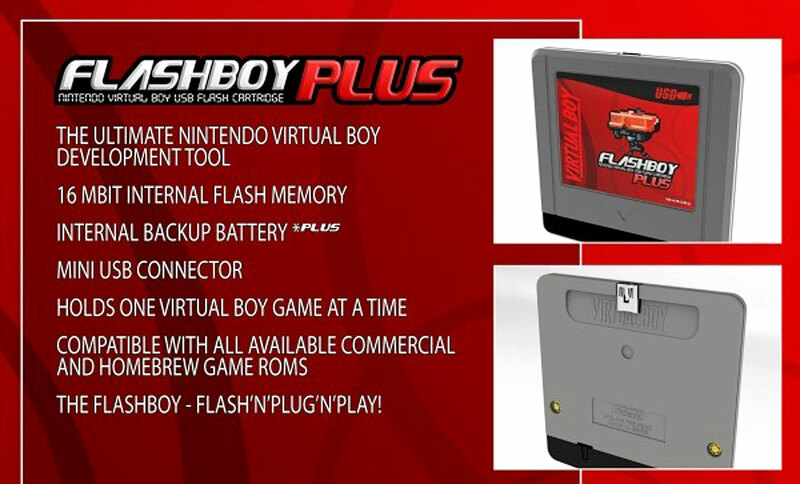 The Flashboy Plus is the first USB FlashCart for the Virtual Boy console and Works with all games. It's the second of two flash carts developed specifically to ease and stimulate development for Nintendo's stereoscopic Virtual Boy. This is the 2nd generation of the FlashBoy emulator (this version has an internal save battery). 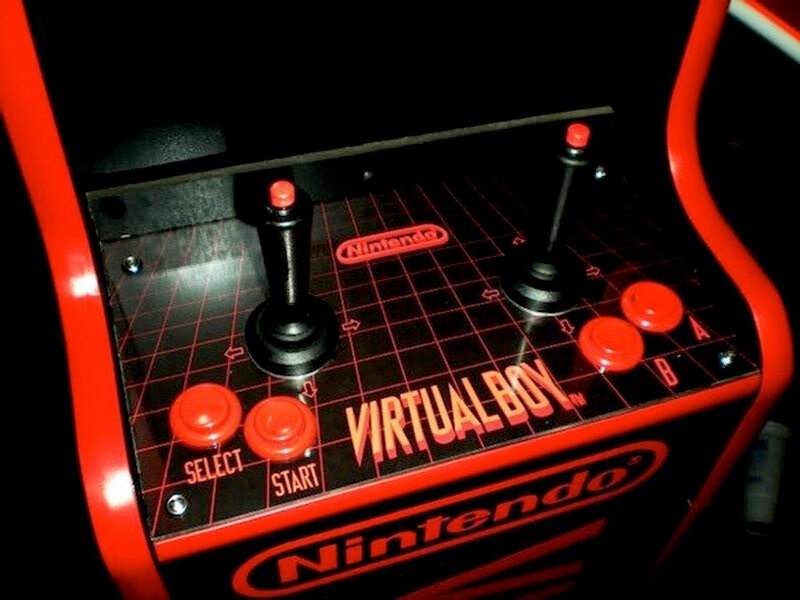 Some guy built his own arcade cabinet to house a Virtual Boy. He chose to put the controller's shoulder buttons atop each joystick and leave the A & B buttons on the board. Really cool build! Promotional offer from Blockbuster Video for a 3-day Virtual Boy rental with 3 games. 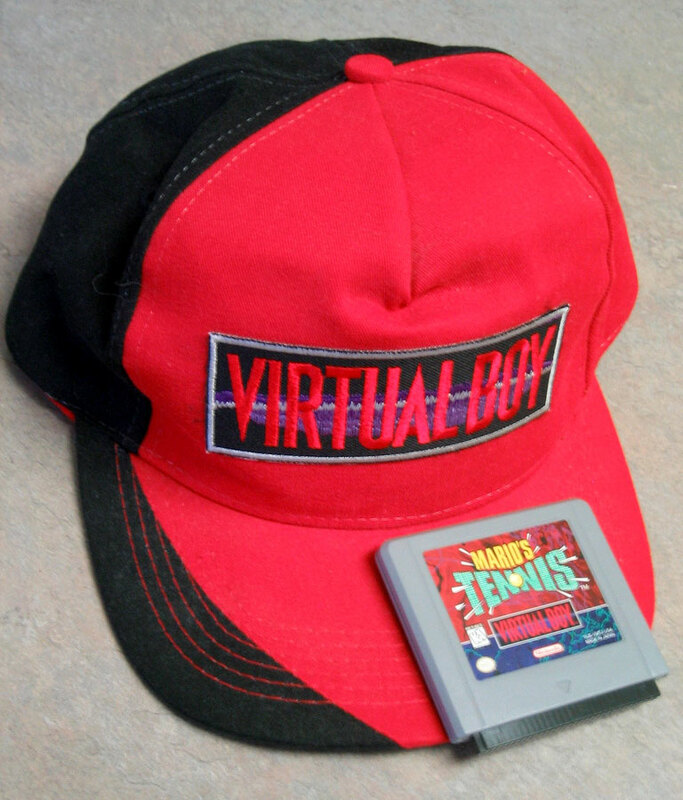 I doubt the Virtual Boy would hold up well as "rental hardware". 1995 Virtual Boy ad for Kemco Baseball. 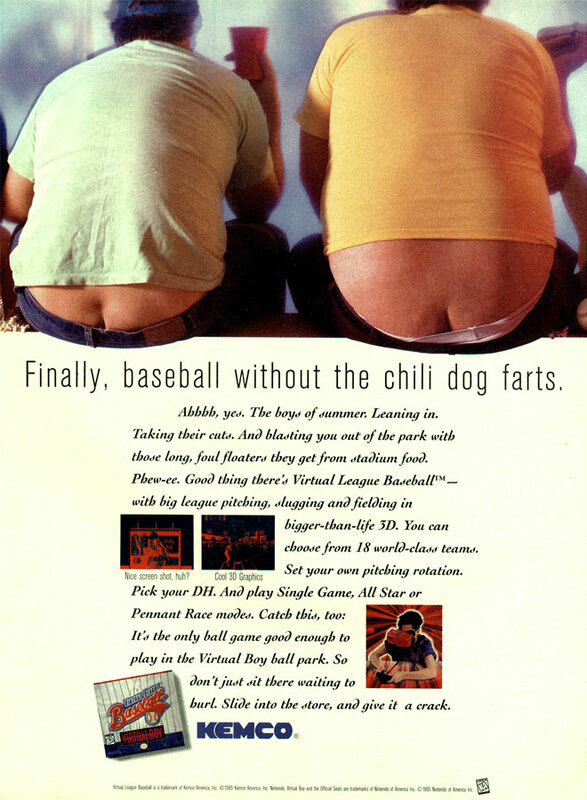 "Finally, Baseball Without the Chili Dog Farts". 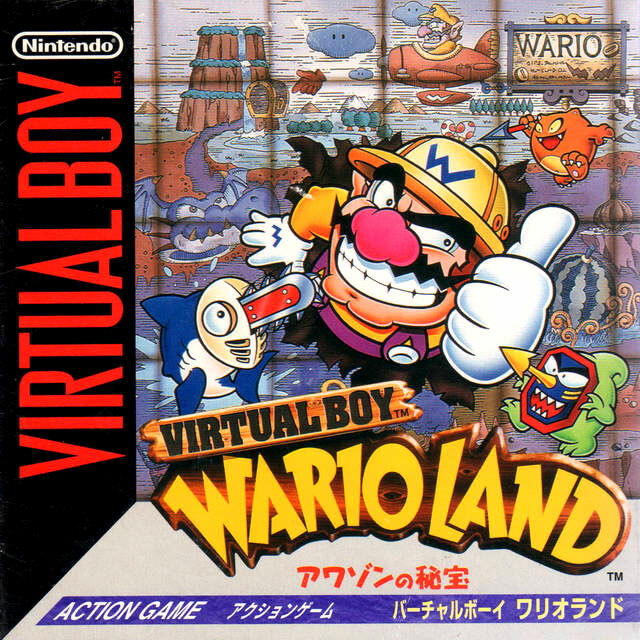 Warioland box art for Virtual Boy. 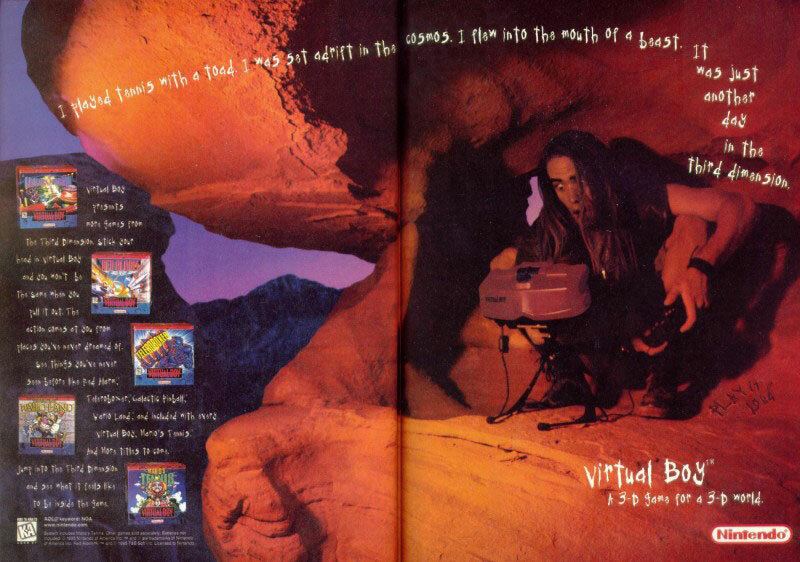 Multi-game ad for Virtual Boy. 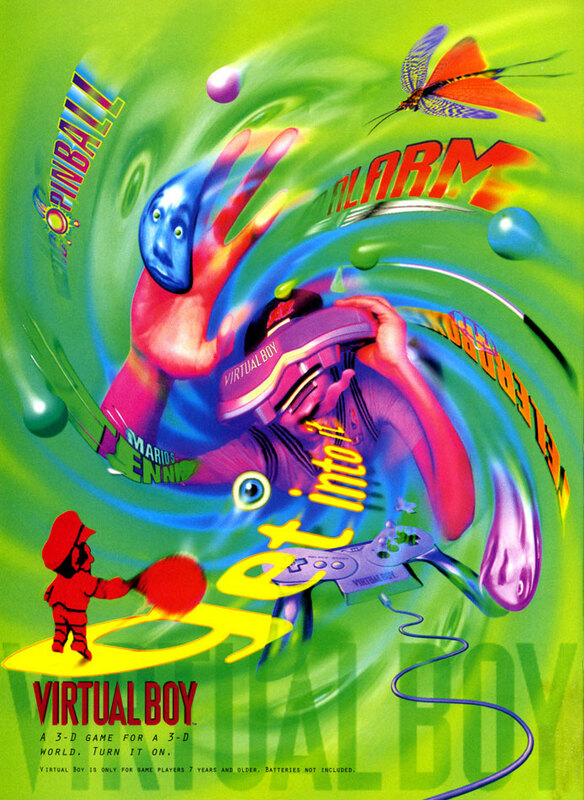 Generic Virtual Boy ad with a selection of games in a swirling mess. 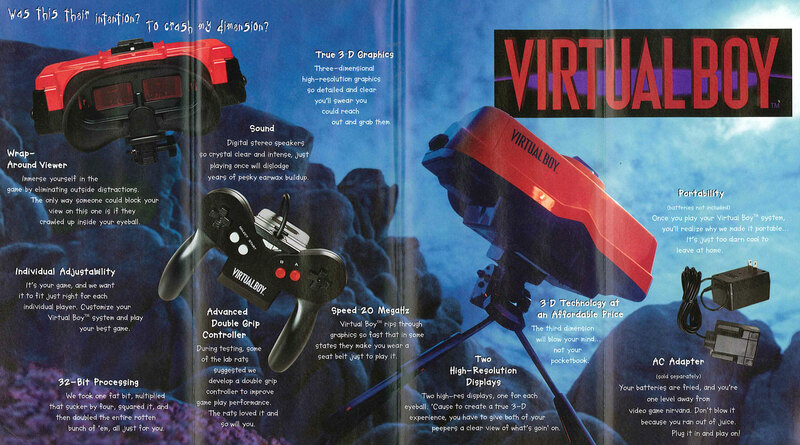 $99 Virtual Boy ad. 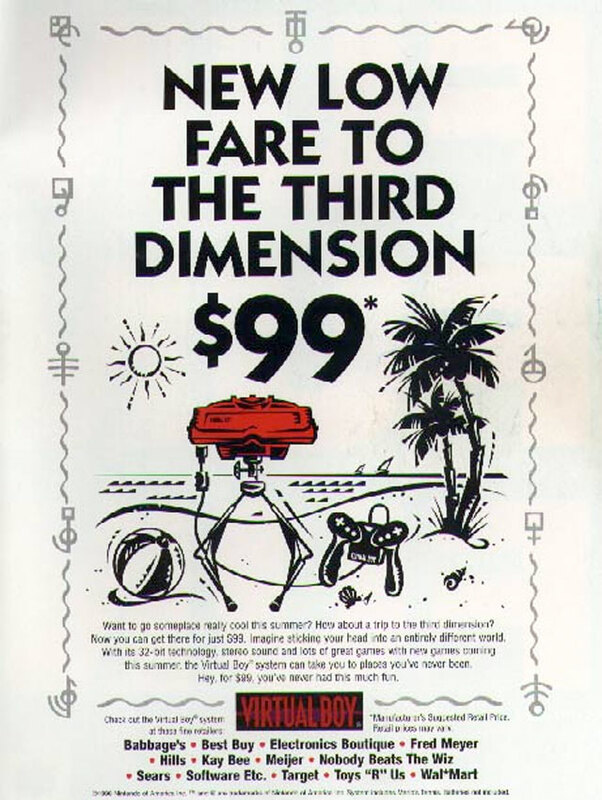 "New Low Fare to the Third Dimension"
1995 Promotional pamphlet about the Virtual Boy and some of the available games. 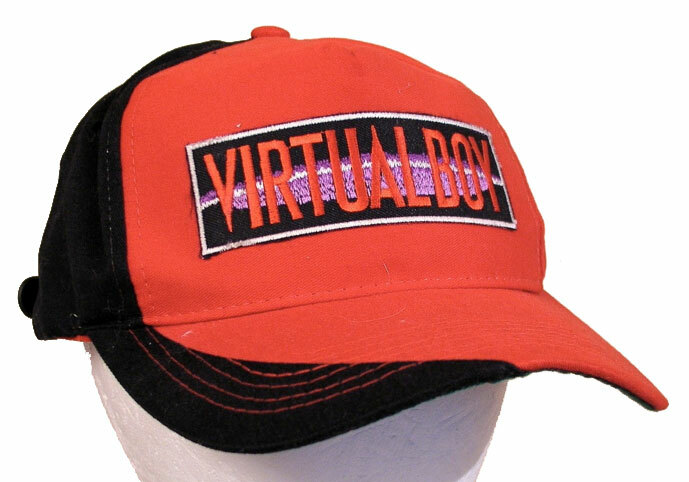 I'd love to have a Virtual Boy hat! I believe these were used around 1995 as a promotional item give out by sales reps.